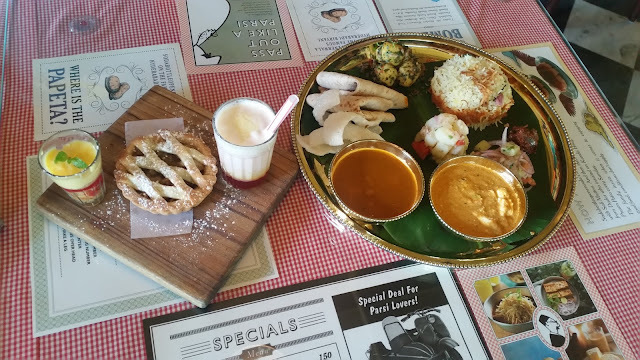 Invited for a preview of the offerings, I opted for trying out the non-vegetarian thali. 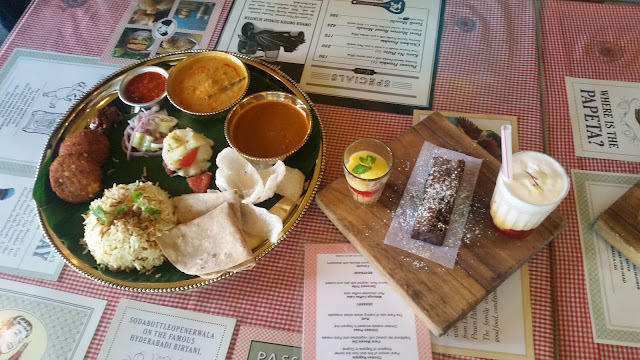 The presentation of the thali was in traditional brass cutlery and the food looked extremely tempting. The thali had about ten items including a range of pickles, chutneys, papads and salads. The tomato chutney was the best of the lot while the homemade brinjal pickle was spicier than I expected, masking the taste of brinjal a bit. The pick of the thali was Chicken Rajpipla. Rajpipla was an erstwhile princely state in Gujarat during the British Raj. The dish has been adapted from the secret recipes of the Maharajas and incorporates ingredients such as Worcester sauce and eggs. The brown gravy was thick and went well with Rotlis – the Parsi whole wheat chapatis. There was also a thick Parsi Dal served in the thali, which was quite heavy and filling. The thali had a couple of large Parsi Fish Cutlets – tasty in their own way with a different kind of masala. Chicken Pulao was sweetish, a typical Parsi preparation with fragrant rice and Parsi masalas. I am fond of Parsi pulaos and this was no exception. In the vegetarian thali, the non-veg dishes have been replaced by vegetarian versions of the pulao and Rajpipla. I did not try these but what I sampled and liked a lot was the Bombayya Potato Fry, a dry preparation of baby potatoes. 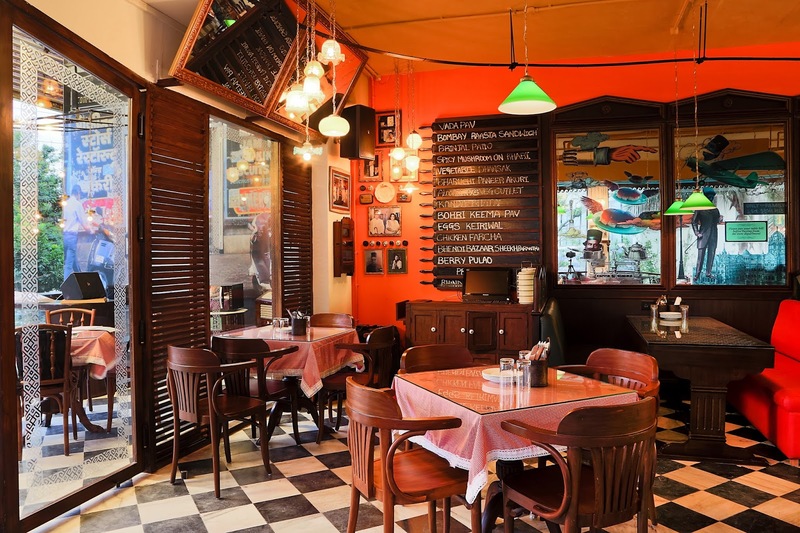 The thalis also come with the classic Irani Falooda available at SodaBottleOpenerWala – albeit being a mini version of it. The non-veg thali had Matunga Coffee Cake – a superb dessert flavoured by rich coffee, which appealed even to a dessert shy person like me. Daruwala Trifle, which was fruit custard and jelly soaked in a little bit of rum. The rum flavour was not pronounced though otherwise it had a decent taste. For vegetarians, the coffee cake was replaced by Apple Pie with custard. The vegetarian thali is priced at Rs 450 (plus taxes) whereas the non-veg thali is Rs 550 (plus taxes). The thalis are in limited quantities, however, I feel it should be sufficient for an average eater. The promotion is on till 15th January 2016. The fans of SodaBottleOpenerWala will enjoy the few new dishes which are in the bhonu. 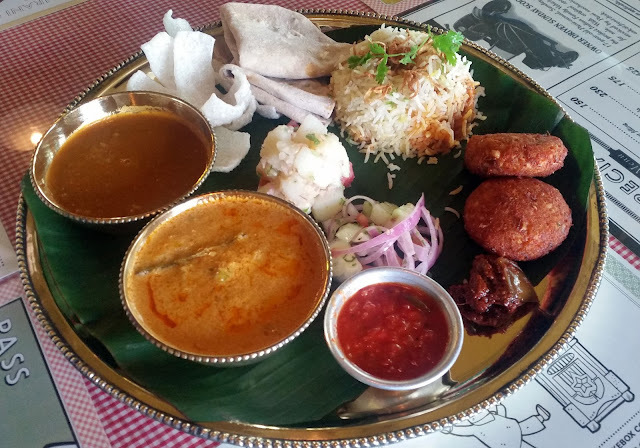 For people who have not tried Parsi cuisine so far, this is a novel opportunity to start with an economical thali, and judge for themselves whether they like the cuisine. If you like the flavours, you can always come back later to dig deeper in the usual menu. Food looks very inviting. Is this the one near Film Nagar (corner)?